“Now you've registered for My account, you can login any time you like. It makes managing your mobile phone and devices as easy as pie.” These words are yours. Quoted directly from your company's email of 11th November. And these words are a joke. My son lost his mobile phone in Jordan in late October (number 07917-XXXXXX, one of three contract phones on my account with you). That was not your fault. However, that is the only part of this episode that is not your fault. I Skyped a friend in the UK who reported the loss of the phone to you. The unfortunate friend’s phone is also with Vodafone. It took most of a wasted evening to prevent Vodafone from cancelling his phone instead of my son’s. After returning to the UK I contacted Vodafone to check that all was in order, i.e. that the lost phone had been blocked and that there had been no usage of it from the time it left the UK on 23rd October. Then I tried to double check by logging on to my online account with Vodafone. The account was inaccessible; that had been blocked too. I phoned Vodafone. After many endeavours spanning some infinite eternity of working time, the account remained inaccessible. Vodafone assured me that all I had to do was wait until the following day and the problems would have resolved themselves. The next day materialised but access to my account did not. There have been several more identical repeat instalments over the past three weeks. None has resulted in my having access to my account. The most recent was today. Having tried yet again to set up my account from scratch online, and having been failed yet again by the Vodafone website, I resorted - yet again - to the telephone. At midday I spoke to Bob in the VF call centre. Bob assured me that if I waited an hour and tried again it would all work. This rather sick joke precipitated a serious sense of humour failure on my part. Why? 2) Vodafone has eliminated access my account online. Yet again, I was left with no alternative but to telephone Vodafone. There was no longer any need to listen to the extensive menu for I knew it off by heart. At 12.40pm the umpteenth course on the menu was dished up with the first human voice: that of Lorraine-password-1465. The probable ensuing dialogue having hitherto committed itself to memory along with the menu, there seemed little point in pursuing the same route again. In the interests of simplicity, I skipped all repetition, informed Lorraine-password-xxxx that I was livid and asked to speak to a senior member of VF’s management. Lorraine was reluctant and asked me to explain the problem. I replied that that should be apparent from the notes of her screen. Lorraine departed in search of Management. The management was not available. I was put on hold for some eternity during which The Management failed to become available. Lorraine returned to the line and assured me that a management person would telephone me by 1.15pm. It is now 2.05pm and the phone has yet to ring. On 8th November I received a new SIM card for my son. Along with an invoice (number BM9XXXX) for £12-27. At the time of ordering the SIM card, VF informed me that I would be charged £5. Bob of above conversation agreed to credit me with the excess charge. I trust you will check that this has been done as I have no way of being able to check. All of the calls that I have had to make to VF have had to be made from a BT landline. This is because our mobiles operate at home from a Vodafone Sure Signal hub. Our house has thick stone walls. Only text messages are able to penetrate the walls. I was not informed of this problem at the time of taking out my contract – even though I did ask this specific question. I first commenced dealings with VF on 22nd February this year. It was not until 12th March that the service functioned. It took many eternities on the telephone and 5 days waiting for couriers to obtain hardware and service from Vodafone. In April we lost another week of service due to a terminal fault with the Sure Signal hub. It would only have been 48 hours of lost service but VF failed to send the replacement hub. VF failed to send the replacement hub twice. If I add up all of the time and cost of landline calls to VF over the past 9 months, it amounts to somewhere between one and two full working weeks and a considerable number of Great British Pounds. My daughter is currently in France on a gap year. Before I took out the contract with VF, I checked with VF that my daughter would be able to switch to a French VF contract for the time she was there and resume the English one on her return. I was assured that this would be no problem. The only reason it has failed to be a problem is because it is not possible at all. I am therefore tied into paying for a contract that cannot be used while my daughter pays for a French pay as you go SIM. It is now 2.34pm and the phone has yet to ring. It is now 8.30pm another day on and I have not yet received any call from Vodafone. I have been in for most of the day and my mobile has been with me [and switched on] at all times when I have been elsewhere. Yesterday the VF call centre staff resolutely refused to furnish me with the email address of The Chairman’s Office. So I sent emails to your Customer Care department and the media department, to act upon and forward to you, Sir John Bond. The media department replied stating that this had nothing to do with them and contact could only be made via the VF website. From Customer Care I received an auto-response to the same effect. The Vodafone website route comprises completion of a form that only accepts complaints to a maximum of 900 characters. That is wholly inadequate. 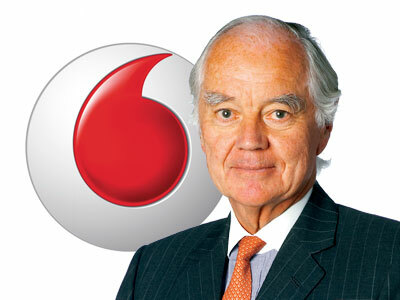 I understand that Vodafone does not wish to hear complaints from its customers. If I am in any way representative of those customers, the company would have long since drowned in complaints. So perhaps Vodafone should adapt the above advice of its call centre staff – All you have to do is wait and the problems will resolve themselves – to a more accurate mantra: All you have to do is wait and absolutely nothing will happen. I shall continue to wait in futile anticipation of the aforementioned promised phone call from your management. Tomorrow I will check my bank statement to ascertain how much you have debited from my bank account. That payment is scheduled for tomorrow. My current inclination is to cancel my direct debit. For that, I surmise, would guarantee immediate communication from you. But honour decrees that I should not violate a contract that I have entered into. Perhaps you will now prove that you are possessed of honour too; prove it by honouring your contractual obligations to me. I know that you have power but that, as Machiavelli observed, does not always run in tandem with honour. And I presume that, in your capacity of Chairman to one of the world’s major telecommunications companies, you have access to a telephone. You could call me. Unfortunately you will not be able to call me on my Vodafone number because, as I have pointed out, it will not work here. So you’ll have to call my BT number: 01722-781150. As I do not wish to publish full details of my account with you on the internet, I will supply you with the necessary details via the 900 character form on your website. This does, of course, assume that your audit trail functions more effectively than your customer services. Perhaps I should now contact the BBC Radio 4 panel game 'Just a Minute' to suggest a new topic: Talk about problems with Vodafone without repitition of either 'again' or 'yet again'. JORDAN is a magnificent, fascinating and stunningly photogenic country that can only be delivered up in bite sized chunks. In October O and I and several other families spent nine days travelling the length of the country. We travelled with Explore (http://www.explore.co.uk/) who served up Jordan exceedingly well, despite a few glitches. But travelling wouldn't be travelling without a few glitches. We now understand why camels are bad tempered and have bad breath. It is because they do not clean their teeth and never go to the dentist. This is a girl camel. Boy camels are stroppy, belligerent and particularly bad tempered. This one took a while to comprehend that she should open her mouth and display her teeth. When she did, she seemed very proud of her ability to comprehend English and mimic a completely batty Englishwoman. She held her pose perfectly for several more minutes during which time we had exactly the type of conversation that one has with the dentist: I did the talking and she signalled her agreement in low grunts through clenched jaws. It takes 80 litres of water to rehydrate an empty camel hump. In 1806 a German traveller buried his head in the sand and found Jerash, one of the main Decapolis cities of the Roman Empire. Having been sequentially demolished by Persian invasion, Muslim conquest and a series of earthquakes, Jerash lay perfectly preserved beneath bone dry sand for a thousand years. Being the best preserved Roman city outside of Rome, Jerash has found a new lease of life with alternative invaders in the form of tourists. And the tourists are entertained by chariot shows and Arabs playing bagpipes. The sound resonates nicely across the 15,000 seat amphitheatre. Inevitably there is a Visitor Centre resembling a public lavatory block and, in keeping with public lavatories, closed. There is also a restaurant that looks like a concrete car park and charges similar extortionate prices. But Jerash needs no latter day extras to entertain. Nothing beyond camera, boots and sunhat. For history addicts: this link should take you to a potted biography of Jerash – complete with better photos than mine. Everything should be tried once. Once is the right amount of times to float in the Dead Sea. Which is slimy and greasy and has an unpleasant chemical smell. But you do most definitely float. Reach out to your feet and you roll over sideways. Dead Sea water causes excruciating pain to the eyes and tastes revolting. O can confirm. I can confirm that Dead Sea mud is good for the skin having followed the trend and smothered myself in the stuff. As the children’s skin has yet to require any rescue remedies, they gathered the mud into mud balls and threw them at each other ... and anyone else in the firing line. Salt crystals lurk in large clusters along the shoreline. Less now than before our visit as it was essential for teenage boys to excavate and bring a few souvenir salt boulders home. The Dead Sea coastline is rapidly going the same way as the Red Sea coastline: being usurped by monstrous concrete hotels. But there are not yet enough hotels to exert pressure to compete on prices. We were robbed of a fiver for a small can of beer without any alcohol. Then compensated by a beautiful sunset. O lost his sunglasses for the second, third and fourth times. The King’s Highway is an ancient route that has connected Jerusalem to Mecca for the past 3000 years. It was the route taken by the Israelites in search of the promised land and by Muslims on pilgrimage to Mecca. It took the Nabataeans to Petra and the Crusaders to many of their fortified castles. This is the route we took to Petra, stopping at Kerak (Karak) along the way. Kerak is a walled hilltop city with one of the best of Crusader Castles. It is the biblical city of Kir and was the capital of the Moabites. The castle was built in 1142AD by King Baldwin 1 of Jerusalem (who you’ve never heard of because he was conspicuously excluded from the school history syllabus) and featured in many a battle between the [Frank) Crusaders and the Isalamic armies of Saladin. King Baldwin 1 must have attained the height of popularity in his day because he managed to levy taxes on all the caravans travelling from Egypt to Syria, whereby he amassed much wealth for Jerusalem. The guide book decrees that visitors to Kerak Castle should bring a torch. I did not. A wall sprung up from the depths of the dungeons and attacked me. Thankfully it was an unarmed wall and only resulted in the surprise that arises when one is transported from vertical to horizontal without warning. And an insignificant bruise. Having greater desire to experience the street life of the ancient city than another over-priced restaurant for tourists, I headed into the town. This was an interesting experience as I was the only ‘uncovered’ female and the only Caucasian, and obviously a rare and unfathomable spectacle. I did not receive the ‘Unwanted Attention’ that the guide books promise; rather the converse in the form of respect, willingness to assist and many invitations into private homes. Everyone I met was familiar with the location of Stonehenge and had a strong desire to go there. London was similarly desirable but the rest of the UK is unknown territory. In October 2010 The King’s Highway required the same navigational skills as were possessed by the caravans of 2000 years ago. A General Election was imminent and every road sign was obliterated: redeployed as billboard for prospective MPs. With identical dark complexions, identical gleaming teeth smiles and identical Arab headdress, they all looked the same to ignoramus me. Much the same as the candidates for the 2010 UK General Election who were unified by identical white faces, identical gleaming teeth smiles and identical grey suits (though those with greater fashion expertise might be able to distinguish the Armani from the M&S). Cultivating the desert is challenging. Everywhere there are neat rectangles of crops bordered by banks of sand and traversed by irrigation channels. In Jordan the farmers have good amounts of sun; in England they have guaranteed rain. This is life: you can never have everything. O lost his sunglasses for the fifth, sixth and seventh times. Take many generations of dedicated armies wielding axes and shovels, and 500 years later they will have carved an entire city out of a canyon of rock. The creators were the Nabataeans and the result was Petra, completed at about the time of the birth of Christ. The canyon is long and deep, the rock the promised red rose and the result breathtakingly spectacular. Our first visit was at night by candlelight and moonlight. A pilgrimage of tourists to the Treasury – Petra’s palace – for a Stonehenge Soltice style experience of 21st Century Arabs masquerading as Nabataeans and playing instruments of indeterminate era. Lacking the right drugs to engage, I had a thoroughly enjoyable solitary walk back to Wadi Musa (the modern adjunct to Petra where the tourists are hotelled) well in advance of the rush. The following day was the daylight visit. A long day of guided walk through the city followed by harder walk up the 800 steps to the Monastery from which the panoramic views provided reward for effort. Petra has been inhabited for 7000 years so the Nabataeans were actually only a mid-term interlude. Though a clever one. Along with the Crusaders they were experts in taxation but more shrewd and pocketed the revenue for themselves. The 19th Century expeditioner who rediscovered Petra was equally shrewd. In 1812 Jean Louis ‘Ibrahim’ Burckhardt, young Swiss and master of disguise with a good command of Arabic, set off for Cairo. En route it came to his attention that there were spectacular hidden ruins in the rocks of Wadi Musa. Under the pretence of having promised a sacrifice to Aaron, he was guided by the locals to Petra. He reported, correctly, that he had found the ancient city of Petraeus. He then went on to Cairo and on from there to accidentally discover Abu Simbel. His final discover proved terminal: dysentery at the age of 33. After Petra we discovered only the Edom hotel. Which could have proven terminal had we not been hastily moved. A later episode. O lost his sunglasses for the eighth and ninth times. And his mobile phone. There are two horns at the top of the Red Sea. The right one goes to Aqaba. This horn has Israel on the left and Jordan on the right. Jordan has only a few miles of Red Sea coastline, though this is considerably more than it was dealt in the arbitrary carving up of territories by Britain at the end of WW1. In 1965 King Hussein did a swap with the Saudis – he swapped 12km of coastline for 6,000km sq of desert. Aqaba is Jordan’s only real resort and port and is scarcely distinguishable from the Costa del Disgustings that flank the Mediterranean. Given the pace of development, it will take but a few more years for the entire Red Sea coastline of Jordan to be clad in 21st Century concrete. Aqaba today exhibits little of noteworthy past. Its past was nothing more than fishing village until the Arab Revolt in 1917. Lawrence of Arabia led the Arabs in a raid of the town that forced the Turks out, thus securing a centre for the supply of British military aid from Egypt for the elimination of the Ottoman Empire northwards through Trans-Jordan and Palestine. Close to Aqaba, on the border with Israel, lies the ancient port of Ezion-Geber. Here King Solomon constructed his fleet and set sail for his mines; the gold mines of Ophir which was somewhere over the sea. The precise location of Ophir is unknown: lost in the seas of time. Despite its lack of historical appeal and internal aesthetics, Aqaba is a good playground. Hammams (aka Turkish baths) are plentiful. I inadvertently picked one that was hitherto male only – staff and clients both. Thankfully, a lovely American woman made precisely the same mistake at precisely the same time. Having obeyed instructions to strip to our knickers, we were scrubbed, oiled and massaged by male masseurs in swimming trunks. “Do you often massage women?” I asked my masseur. “Never before,” he replied unfazed continuing to massage exclusively female body parts as if they didn’t exist. A couple of hours later, Lydia and I departed via a foyer packed with a distinctly taken-aback male clientele that had been banished for the duration of our visit. The Muslim woman’s cultural burden of excessive clothing is nowhere more in evidence than on the beach. Men and children swim and indulge in seaside activities in much the same dress and manner as their Caucasian counterparts. Women do not swim but sit lumpen on the sand and waddle into the water trussed from head to toe in heavy black sacking. Snorkelling would be .... perhaps best left to imagination. For the best views of this area a snorkel is mandatory. Along with a boat. Just beneath the water’s surface resides a turquoise aquarium abundantly stocked with coral and an infinite variety of tropical fish and marine life. The views from above the water were equally fantastic. The sky clouded over as the sun was setting precipitating the most serene and spellbinding of slow motion sunsets. To the West we watched the spontaneous combustion of the sky over Israel; to the East the reflection of the light on the desert mountains that rise sharply from the shores of Jordan. Oliver probably lost his sunglasses a few more times but any loss of anything was obliterated by Arak-induced amnesia. Arak is the Arab variation on aniseed fire-water. It comes in many versions. Curiosity demanded that every version should be tried. Curiosity should be curbed in comparisons of Arak. A wadi is a valley, normally formed by a watercourse but bone dry except in rare downpours which often result in flash flooding. We had neither rain nor flood but we did have a short sharp sand storm. Sharp is the usual descriptor for the jagged sand that builders mix with cement, but when whipped to a frenzy by blasting wind, smooth desert sand strikes every inch of exposed skin with Sabatier sharpness. On this occasion O did not lose his sunglasses. Instead he indulged in climbing rocks to heights highly detrimental to maternal mental health . Wadi Rum is THE quintessential desert. Catapulted to fame by TE Lawrence’s lyrical depiction, this vast expanse of sand and dune and rock is awe-inspiring. Peace pervades. A palpable but tentative peace: that of the lull before the storm. Every surface declares the destructive power of the forces that formed it. Immense bridges of sand blasted rock stretch from nowhere to nowhere. Cartoon faces stare out from the cliffs into which they are etched, laughing silently at giant sandstone caricatures of beasts that skulk statuesque on the desert floor. The lives of things living give little cause for laughter. With intense heat and scarcely any water, only the toughest survive. Leaves bind themselves tightly around branches to conserve precious moisture, fauna is predominantly nocturnal, and the majority of the five thousand indigenous Bedouin have switched from nomadic goat herding to the herding of tourists. The intrusion of modernity is scarcely noticeable in the expansiveness of Wadi Rum. The occasional four wheel drive vehicle has no more presence than a dinky toy, and the ubiquitous mobile phone seems but a quirky anachronism when clutched against an Arab headdress. The 30,000 inscriptions that adorn the cliffs testify to graffiti being an art more ancient than modern (though archaeologists differentiate the ancient by use of the singular graffito). Walking up a sand dune is like scaling a mountain knee deep in fresh snow. Tough going and best delegated to a camel with huge squishy pads on its feet. Having been rally-driven in 4X4s into the depths of Wadi Rum, our journey continued with a 3-hour camel trek. Our final destination was a Bedouin style tent of woven goat hair pitched beneath mammoth cliffs and dunes. After an evening feasting on lamb baked in a dustbin buried in the sand and toasting marsh mallows on twigs over a camp fire, we fell asleep under a midnight sky bejewelled with diamond tiaras spiralling into infinity. The temperature plummets at night in the desert and the early hours of the morning are cold indeed. This is when I set out on a barefoot hike over the sand; a solitary quest for sunrise. The wall of rock finally came to an end as the sun drew a fine red line across the horizon. The ascent of the perfect spherical crimson fireball ensued, bringing light to the sky and warming the desert back to life. Birds of prey circled above, scanning for nocturnal natives not yet tucked away. And the landscape evolved through a fluid array of palettes from ruby red to gleaming gold as the sun carved its upward passage. Possessed of austere magnificence and unsurpassable beauty, there can be no greater space on Earth than Wadi Rum. It demands both to be seen and to be left alone. Go there quietly and only ever once. PS The pursuit of possessions was subverted to the pursuit of the sunrise. The camera remained in the tent with the shoes. Road works and builders in the UK are just irritating and a mess. In Jordan they are usually a worse mess but far more interesting: unconstrained by Health & Safety and unaided by high tech machinery. People standing in a bus shelter smile, even when the shelter is nowhere near anywhere that a bus could possibly reach. The staff of PC World UK would certainly not smile if they were transferred to the Jordanian counterpart – a small concrete shack on a patch of wasteland. Only a soppy European tourist would make the effort to use a cupped hand as bowl to assuage the thirst of a parched dog. A flat tyre on a UK motorway is a nightmare. In Jordan no problem, especially with three Bedouin to change the wheel while you idly sit in the sun on the bank. Long robes and flowing headscarves did not appear to hamper the work. In a ‘dry’ country any form of alcohol is welcome luxury. Even Bacardi and coke. And the cashew nuts are definitely the best in the world. A remarkable range of flora manages to thrive. The crocuses looked distinctly out of place but shoots of hyacinths were a step too far. One suspected the work of a practical joker who had recently paid a visit to a garden centre. Nevertheless, the hyacinths were doing well. With the exception of camels and beetles – of whom there were many – animal life tends to hide itself from human view. A solitary dragonfly was the only exception. He kindly posed for the camera. Heaven: Finding a crocodile on your bed. That’s how our towels arrived. This chamber artist should surely be destined for Tate Modern. Heaven: Having a rooftop pool with panoramic views over desert mountains all to yourself. Just reward for getting up before anyone else! Now you just have to go to Jordan. And I'll take the blame if you don't like it. Hello and thank you for coming to see me. All the best and happy reading.